Growing up, you were probably told that a balanced plate of food consisted of 50% fruit and vegetables, 25% complex carbs, and 25% proteins (which often is interpreted as animal proteins in Western cultures). 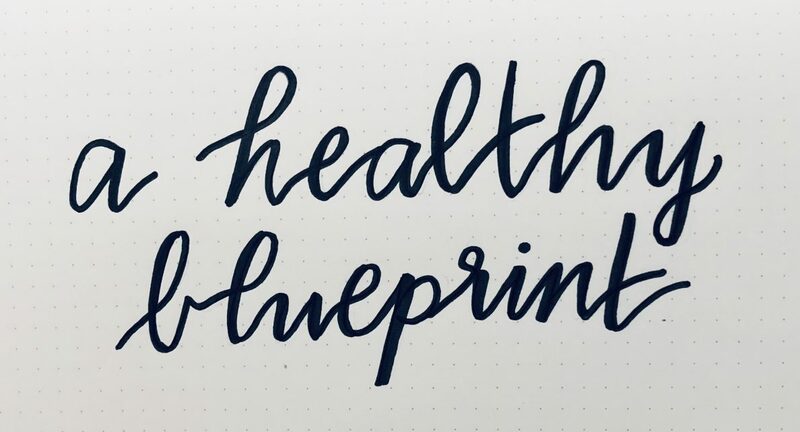 Despite this general guideline, we have moved away from this rule of thumb for a number of reasons: food deserts and lack of healthy options, poverty, trends that higher incomes correlate with greater meat intake, and more. By 2050, we are looking at a global population of 10 billion people that the planet will need to sustain, and our current food systems are not cutting it. We dedicate a portion of our grain crops to serve as animal feed for food animals, when we could be using these grains to feed the people who are experiencing hunger, for example. The EAT-Lancet Commission brought together 37 scientists from 16 countries to evaluate our current systems and make recommendations for the future. This week, they launched the report at the United Nations with Professor Walter Willett elaborating on the report details to explain how we can achieve planetary health and sustain a population of 10 billion people in 2050. I was fortunate enough to sit in on this event and provide a recap of what was discussed. In order to achieve planetary health and sustainability, we need to see a transformation of the global food system, specifically production (how we produce food) and final consumption (what we eat in our diets). We need to dramatically shift our diets in order to have a healthy diet for ourselves and for the planet’s health, such as doubling our fruit, vegetables, legumes and nuts intake, and halving our global consumption of added sugars and red meat. In many parts of the world, especially in the US, we have completely shifted our agriculture habits from planting diverse crops to large-scale monocropping of corn and soy. This depletes the nutrients in the soil and also risks crop failure due to disease and pests, making us heavily dependent on chemicals and pesticides. Of the corn we grow in the US, 45% are fed to food animals, 35% are used to produce fuel, 15% are used for manufacturing products i.e. high fructose corn syrup, and only 10% is left for human consumption. We will need to shift our agricultural priorities in a way that benefits the planet and the human population if we want to sustain 10 billion people by 2050. How can we do this? We as a global community need to get on board with the idea that if we want a livable future, we need to shift our diets to a more plant-based diet. Please note, the report is not saying you have to stop eating meat altogether. It is recommending that you eat less of it, and that you purchase responsibly (buy local, sustainable, antibiotic-free meat, for example). But if you can do without meat for a few meals per week, that would be great for your health and for the planet’s as well! Agricultural and marine food production systems need to focus not only on being able to sustain a growing population, but also giving us a wide range of healthy options to choose from as well. We also need to rethink our current practice of growing crops to feed food animals and shift it toward feeding the human population. Our agricultural systems need to be more efficient in how we fertilize and water crops, return phosphorus and nitrogen into soil, and diversify our crops. As mentioned before, we are practicing monocropping around the world: corn, soy, palm, coffee, sugar cane, and more. By not practicing crop rotation, you do not allow your soil to replenish its nutrients, and you risk pest infestation or disease and the complete destruction of all your crops. We need to start changing up our crops, not only for healthy soil, but also for our own health! It is great to have different options of nutritious vegetables, legumes, and fruit to change up our meals. Deforestation and overfishing are two of the greatest threats to the land and oceans, and in order to protect the integrity of our planet, we need to set strict, enforced policies that 1) ban deforestation for the purpose of creating new agricultural land, especially where there is rich biodiversity such as rainforests; 2) reforest areas where trees were once plentiful; and 3) regulate fishing to protect fish stocks. I’ve written a blog post about food waste and the enormous economic and environmental costs to throwing away food at all stages of the food supply chain (from the pastures, in transit, at the markets, to the home). We have to do better about preventing our food from ending up in landfills by ensuring we purchase only what we need, changing our perceptions of what is “good enough” to take home (I’m talking about ugly food that is still good to eat! ), working with food vendors so they can donate their excess supply to those in need, informing the public about sell-by dates that are not regulated in the US, among other things. If this is a lot to take in, that’s okay! The Commission created a helpful 2-pager that summarizes their report in digestible content. The recommendations entailed in this report will need the global community’s support, but more importantly government leaders’ and policymakers’ support and power to enforce regulations that will pave the way for the general public to practice a planetary health diet. With these findings and recommendations, what will you do to contribute to the health of the planet starting today? 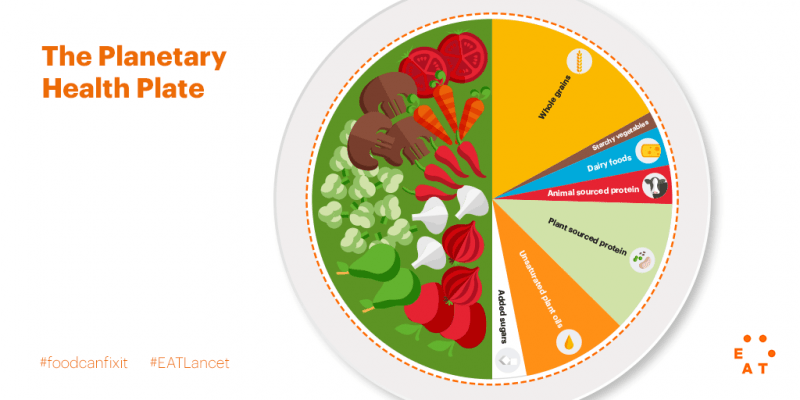 Posted on February 8, 2019 by BelindaPosted in Food, Going Green, Health & LifestyleTagged agriculture, consumption, diet, EAT, EAT-Lancet Commission Report, food production, food systems, food waste, Lancet, planetary health diet, public health, sustainability.